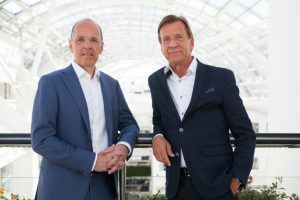 Volvo Cars and Autoliv Inc have agreed to set up a new jointly-owned company to develop next generation autonomous driving software. Headquartered in Gothenburg, Sweden, the new company will have an initial workforce of around 200, increasing to over 600 in the medium term. The yet-to-be-named company will develop advanced driver assistance systems (ADAS) and autonomous drive (AD) systems for use in Volvo cars and for sale exclusively by Autoliv to all car makers globally, with revenues shared by both companies. Volvo is renowned for manufacturing some of the world’s safest cars and for inventing the three point safety belt, which is believed to have saved over one million lives since the company waived its patent rights to other car manufacturers. In keeping with its reputation for pioneering safety innovations, Volvo has devised a medium term vision that envisions zero casualties and injuries in a new Volvo by 2020. Autoliv is the world’s leading supplier of safety systems to car makers around the globe and is responsible for the development and introduction of active and passive safety technologies to the world’s leading car makers for more than 60 years. Håkan Samuelsson, President and Chief Executive of Volvo Cars, said the joint venture will bring together two global leaders in automotive safety, underlining the contribution ADAS and AD can make to road safety and speeding the development and introduction of fully autonomous cars. “By combining our know how and resources we will create a world leader in AD software development. This means we can introduce this exciting technology to our customers faster,” Mr Samuelsson stated. Jan Carlson, Chairman, Chief Executive and President of Autoliv, said the joint venture marks the first time a leading premium car maker has joined forces with a tier one supplier to develop new ADAS and AD technologies. “There are no two companies that can claim to have done more for automotive safety worldwide than Autoliv and Volvo,” Mr Carlson added. According to the press release by Volvo, both JV partners will licence and transfer the intellectual property for their ADAS systems to the joint venture. “From this base the company will develop new ADAS technologies and AD systems. It expects to have its first ADAS products available for sale by 2019 with AD technologies available by 2021,” reads the press release. The new company is expected to start operations in the beginning of 2017.